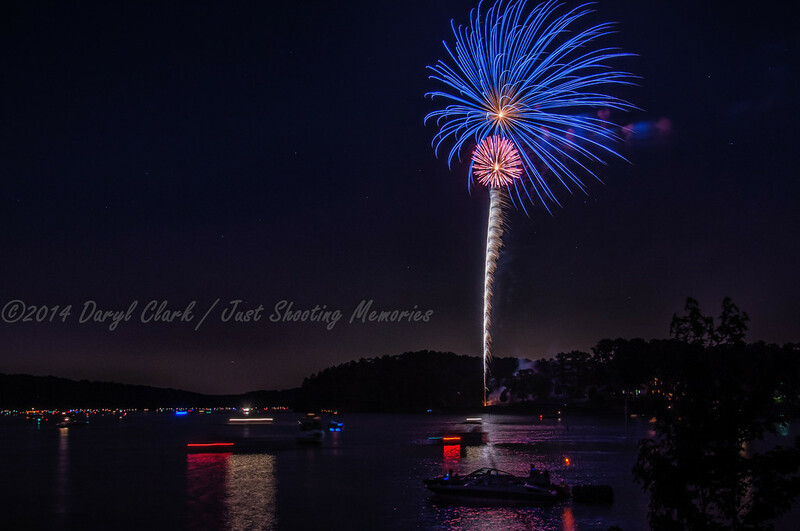 Fireworks Over Lake Allatoona | Just Shooting Memories! It has been several years since my schedule has allowed me to make it to the Allatoona Yacht Club fireworks display. I made it to the shore of the lake a little later than I wanted and had to settle for a view further from the parking lot. However, I was still able to get a good angle to watch the show and get a few good shots as well.